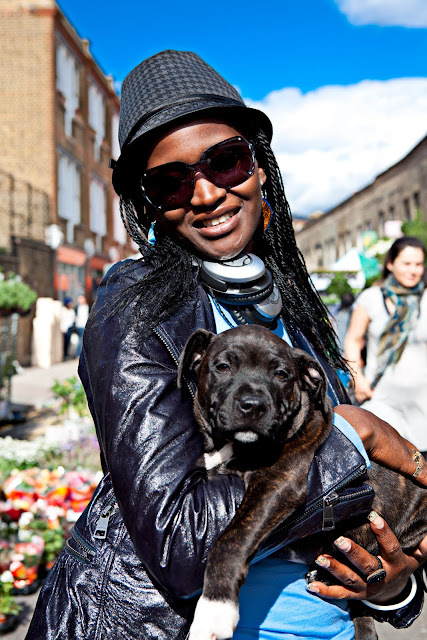 While enjoying the sunshine last Sunday, I spotted this lovely lady walking through the crowd cuddling her puppy at Columbia Road. She was kind enough to pose for me. Thank you!